Nick Demos is a Tony Award-winning producer, award-winning filmmaker, and writer. He has been teaching yoga, pranayama (breath work) and meditation for over a decade. Certified by Hathavidya, he is a 1000hr ERYT-500 senior teacher. Previously he as the Artistic Director of Lyric Theatre of Oklahoma where he transitioned the company into a multi-million dollar non-profit. For that work, he received the “Living Treasure Award” in the state for his contribution to the arts. His current projects include documentaries on body image in the LGBTQ community and the chronic pain syndrome, Fibromyalgia; a book about living in creative flow; and a musical adaptation of the classic spiritual novel, Siddhartha. 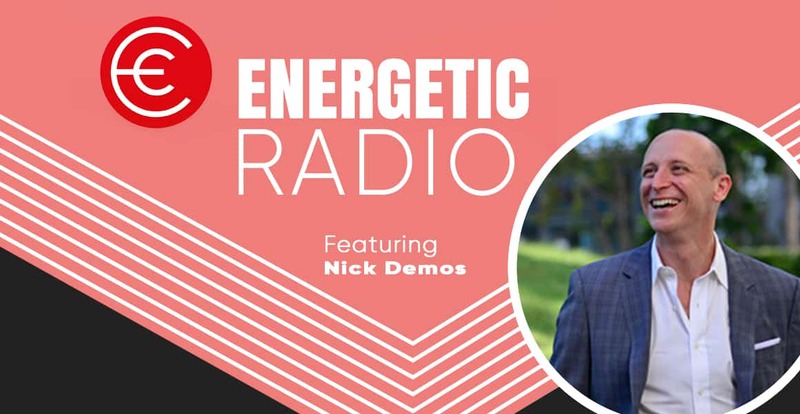 Nick is a creative professional that has been teaching meditation, yoga and innovative mindfulness techniques for over a decade. He is committed to unblocking your creativity and guide you to a connected and authentic life.